had a few offers before, but I rejected them, because those items represented only one type of style. 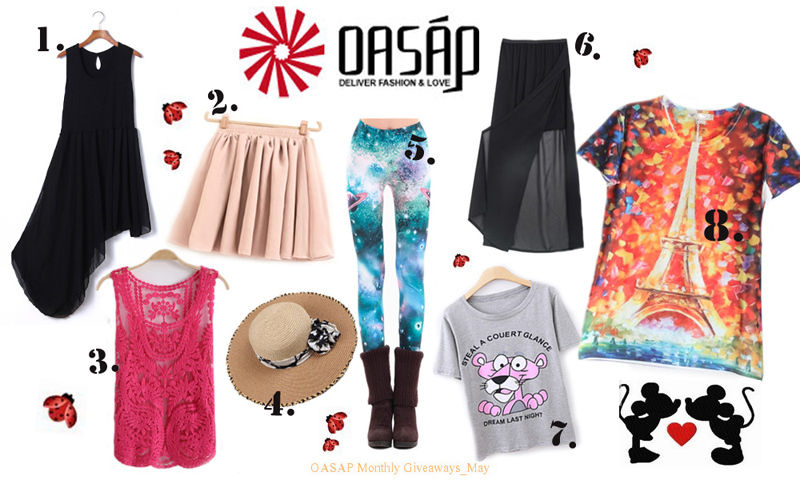 Oasap finally made my wishes come true, and I believe everyone can find something they want in this giveaway! The giveaway will be open for the next 10 days, and afterwards I will send an e-mail to the winner. Please make sure to reply as soon as possible(max up to 3 days), or otherwise I`ll be forced to declare another winner.The name of the winner will be shown in my blog post the day after the giveaway ends. 1. 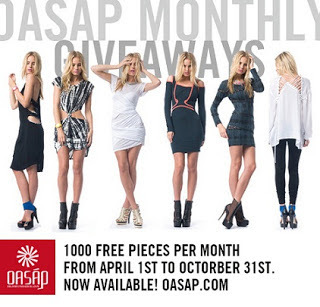 Sign up as a member of www.oasap.com - click HERE. 3. Leave your name, e-mail address, and the number of the item you would like to get in the comment box. 4. Like my facebook page HERE. 1. Lajkujete Oasap facebook stranicu klikom OVDE. 2. Registrujte se na Oasap sajt klikom OVDE. 3. Ostavite vase ime i prezime, e-mail adresu i broj poklona koji zelite da osvojite u komentaru. 4. Lajkujte moju facebook stranicu klikom OVDE. Giveaway ce trajati narednih 10 dana (tj.do 2.juna), i sledeceg dana cu proglasiti pobednicu koja ce biti kontaktirana putem mail-a. What a great giveaway! The skirt is so cute! Good luck to everyone who joins. Followed Oasap on Facebook, Twitter and Pinterest. Signed up at Oasap.com with the above email Id. Mucha suerte a todas las participantes !un besazo!! What a great giveaway. I love the skirt and the lace pice top. Gorgeous for any summer outing. Beautiful! You look so lovely and toned!! I need to do whatever it is you are doing!!!! I would looove the beautiful, black dress! I also liked you on FB! !